If you built up an LP Collection of good music to conjure up wonderful memories, you obviously would have wanted to enjoy it for many years to come. Which is why Bang & Olufsen put so much effort into Beogram 6500. It was a superb, precision instrument that ensured perfect sound reproduction of your records. The electronically-controlled tangential arm played the record exactly as it was recorded. The tone arm was suspended in a special Optimum Pivot Point system that prevented vibrations from reaching the MMC2 cartridge which has a stylus pressure of only 1g for minimal friction. 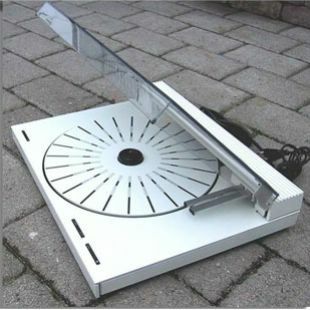 And Bang & Olufsen's special chassis suspension prevented external vibrations from reaching the platter. 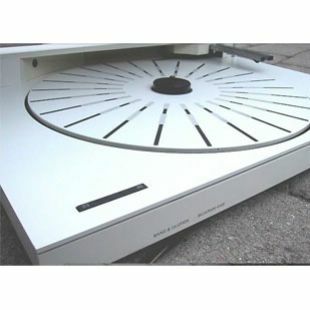 And Beogram 6500 automatically registered the size of the record you were playing and adjusted the speed accordingly. The BeoGram 6500 also contained an inbuilt RIAA pre-amplifier, which essentially means you can just "plug in and play" with any modern B&O system through an AUX or similar socket - making this a very desirable deck! Of course as part of the Beosystem 6500, it was part of the top of the line system comprising in addition, the BeoMaster 6500, BeoCord 6500, BeoGram CD6500 and MCP-6500. The next incarnation of the 5500 but now in a range topping system and hence supplied with the MMC2. The rest of the deck was unchanged except for the provision of a RIAA which now lived in the Beogram rather than the Beomaster. 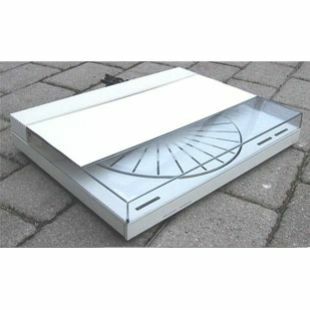 This allowed the fitting of a longer DIN lead and more flexibility in the positioning of the Beogram. Many thanks to Martin Olsen for the Images of his White 6500!